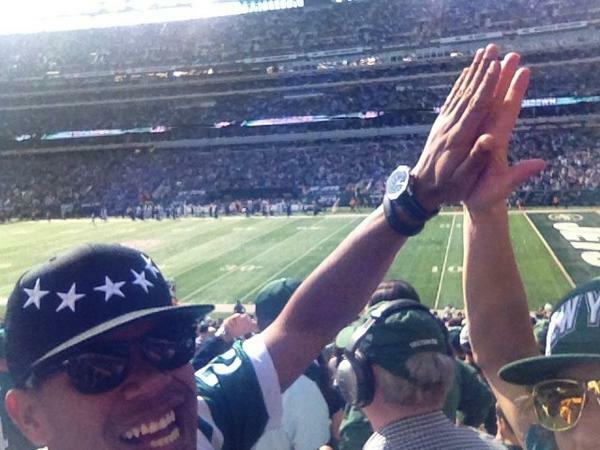 My Bro DJ FLO & yours truly were spinning for ESPN RADIO this past Sunday Oct. 14 at the NY JETS game. The World famous Don La Greca & Greg Buttle were chatting it up at the ESPN Radio booth. Gang Green cranked out a dominating victory over the young Indianapolis Colts squad; a much needed victory for NYC.